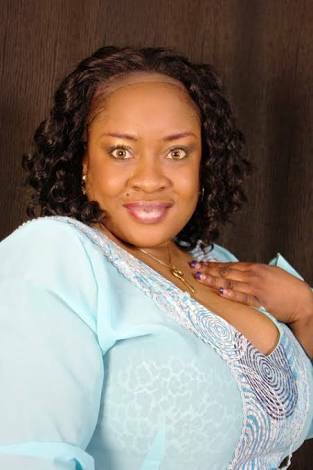 Popular Nollywood actress, Foluke Daramola-Salako, has said Former Lagos State Governor, lot his relevance in Lagos politics due to his nonchalant attitudes and his refusal to build disciples. Also Read: Thank You Kiss Daniel The Giver! She shared her thought as a result of public outcry on how Fashola was treated like a nobody at the last 10th birthday colloquium of Asiwaju Tinubu. Foluke wrote on her Facebook wall; "A lot of observers have expressed disappointment about the fact that the immediate past governor of Lagos State, Mr. Babatunde Fashola on the occasion of the 10th birthday colloquium of Asiwaju Tinubu held in Lagos few days ago, was treated like a nobody all through the period of the event." "As an attendee at the event and an observer of how events have unfolded in Lagos in the past 10 years, I will be very realistic to say that as we all lay our beds so we would lie on it." "Asiwaju made a statement in one of his interviews and I quote: "A leader thinks; do and most importantly build other leaders as well as invest in his people." No doubt, our past Governor, Mr. Fashola is an extremely brilliant and almost ingenious man, who dared to bring a difference to progressive governance when he was the governor of Lagos State, but what about the people around him?!" "He lost touch with them. All along, he has refused to be a leader to anybody!" "A lot of people were inloved and intrested in enjoying that leaderahip impacts from our dear BRF then and even now as a minister like they are enjoying it from Asiwaju, but he has not been there for them." "If only Fashola had taken out time and thoughts to imbibe some of his rare ideals and ideologies into these people, I am sure, today, they would have become his religious disciples, who would have been religiously there to "Preach" what our dear past governor stood or still stands for." "But, Alas! all those legacies that fashola stood for have gone with all the fantastic work he did in Lagos like a mere vapour, all because he did not care to invest in the people and provide leadership to them." 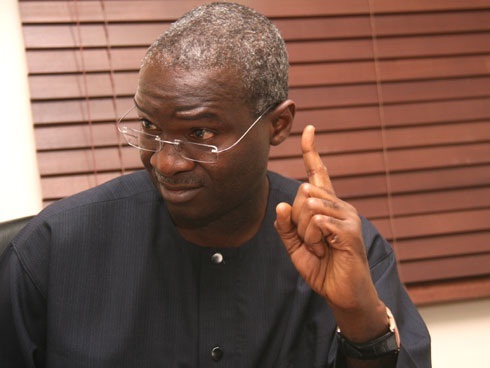 "Fashola was too nonchalant about providing political leadership. And so, today, there is nobody to identify with his brand personality like that any more. All the works Fashola did in Lagos are not good enough to be his followers today. So sad!" "There's this yoruba adage, which says "Eniti aye ba nye ki o ma yo layo ju, tori wipe bi aye se nye ni, ni wo se n yo ni." My proverb, however, goes to my new and present governor, Akinwunmi Ambode." "Sir, if u do not want history to repeat itself with what is happening with Mr. Fashola to happen to u, pls., try and invest in people, because the people are the greatest resources of any nation. Apart from Asiwaju, who else as a Yoruba leader is investing in people the way this great man has done?!" "We can say all sorts about the Lion of Bourdillon, our wonderful daddy, the asiwaju of our time, I have known this man to be an investor in humanity all his life." "And if I don't remember anything, I remember how he magnanimously gave us 30 thousand dollars to bring the remains of my dear friend, Late Moji olaiya from canada, despite not knowing her from Adam." "Meanwhile, when my friend was alive we had a good relationship with a lot of politicians. When she died, nobody was there to help us bring her home for befitting burial, except Asiwaju." "I will, therefore, conclude with this, I fear for the yoruba generation, because the average Yoruba leader is just too selfish and self centred. How I wish we can have more of Asiwaju Bola Ahmed Tinunbu...Oh! how l wish." She concluded.